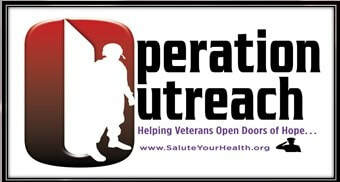 Welcome to the Epilepsy Foundation of Kentuckiana's Operation Outreach blog. This blog is designed for us to inform and to communicate with each other, to share experiences and insights, to laugh with each other and sometimes even cry with one another. Most importantly, though, this blog is designed to support one another in our fight to deal with the struggles and issues of being veterans and family members of veterans. 1. Be respectful!!! Everyone deserves respect. 2. Don't be offensive!!! Feel free to powerfully state your views and opinions, but leave the "field language" in the field. Field language includes cursing, vulgarities, racial slurs (even toward the enemy), etc. In short if you wouldn't want your mother or your children to hear it or read it, don't write it. Please note these ROE will be closely monitored and strictly upheld.